The country where east and west collide, Turkey is a paradise of sun, sea, mountains, and lakes that offer the vacationer a complete change from the stress and routine of everyday life. From April to October, most places in Turkey have an ideal climate that is perfect for relaxing on sandy beaches or enjoying the tranquillity of mountains and lakes. Alive with culture, history and some of the greatest natural landscapes on the planet, Turkey has a magnificent past and is a land full of historic treasures from 13 successive civilisations spanning 10,000 years. 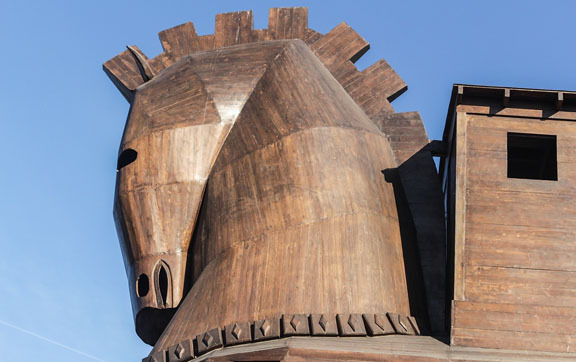 Even if you spend only a short time in Turkey, you can see a lot of this great heritage. 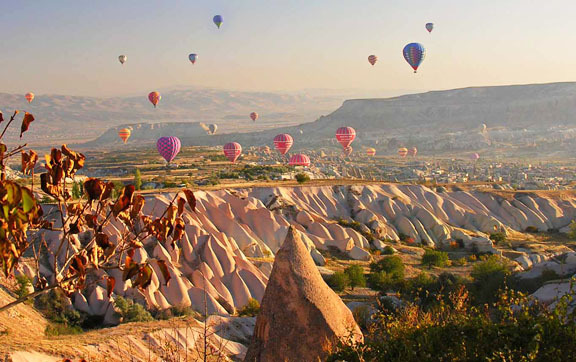 From the ancient city of Istanbul to the fantastic Mediterranean coastal towns like Cappadocia and Kuşadası, Turkey is a land full of new experiences and discoveries. There is no doubt that one visit will not be enough, and you will want to come back again and again as you discover one extraordinary place after another. 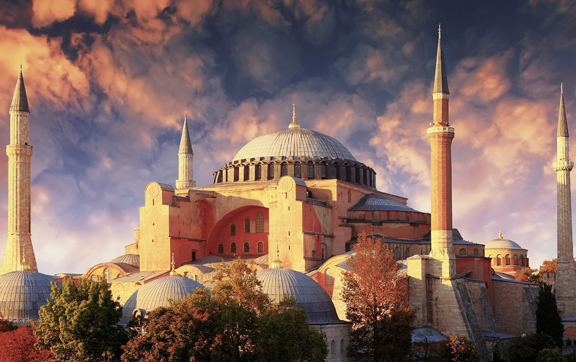 The former capital of three successive empires, Roman, Byzantine and Ottoman, Istanbul today honours and preserves the legacy of its past while looking forward to a modern future. It is Istanbul’s endless variety that fascinates visitors. The museums, churches, palaces, grand mosques, bazaars, and sights of natural beauty seem innumerable. Reclining on the western shore of the Bosphorus at sunset contemplating the red evening light reflected in the windows of the opposite shore, you may suddenly understand why so many centuries ago settlers chose to build on this remarkable site. At such times you can see why Istanbul is truly one of the most glorious cities in the world. To the far Eastern side of the country, you will find the historic Gallipoli Peninsula where you can take a moment at Anzac Cove and pay your respects at the Commonwealth military cemeteries including Lone Pine. Also worth a visit, if you’re interested in history, is the military museum near the site. From the peninsula, it is only a ferry ride across the Dardanelles before you can make your way to Troy. Excavations began here in the late 1800s and the blurred lines between fact and fiction will leave you yearning to know more. This ancient city boasts ancient walls that rank amongst the best preserved in Turkey. From here you can visit the Temple of Athena before winding through olive groves, past pebbly Aegean beaches to the ancient ruins of Pergamum. Spend the night in Izmir before moving on to explore the site of Ephesus, the best-preserved classical city in the Eastern Mediterranean. 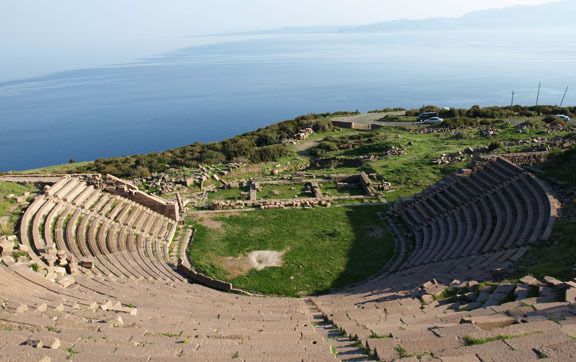 Walk in the footsteps of the ancients and feel as though the history is coming to life. An impressive medieval castle built by the Knights of Rhodes guards the entrance to the dazzling blue bay of Bodrum, where the Aegean and the Mediterranean meet. This charming town attracts a diverse population of vacationers who stroll along its long, palm-lined waterfront, while elegant yachts crowd the marina. 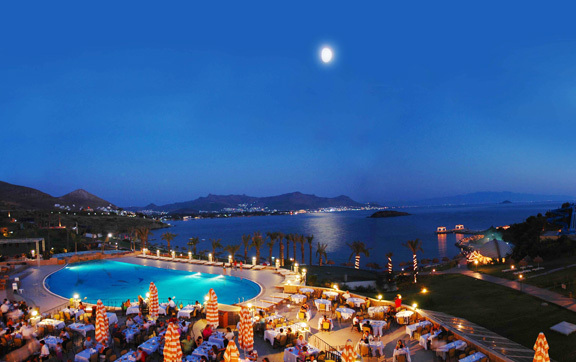 Bodrum has gained the reputation as a centre of the Turkish art community with its friendly, Bohemian atmosphere and many small galleries. In history Fethiye was known as the “Untouched Virgin of the Lands Lights” and today it is as if all the magnificence of the entire Mediterranean was concentrated in the bay of Fethiye : Its islands, coves, long sandy beaches, and the entire riches of its history and natural beauty are before you to explore .With its excellent seas, highly developed facilities, and entertainment beyond belief, it is a paradise that caters to your possible requirement for a remarkable holiday. 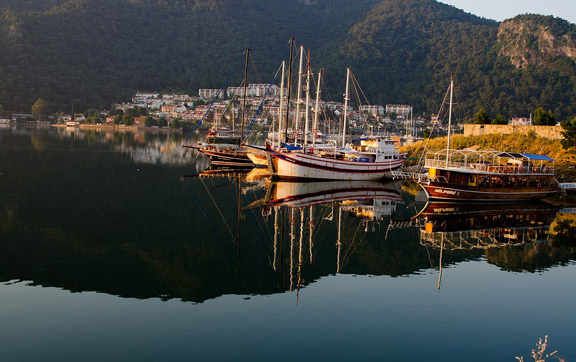 The most impressive ancients ruins, the best sites for paragliding and water sports, most magnificent bays and beaches come together at Fethiye, along with mouth watering gastronomy. 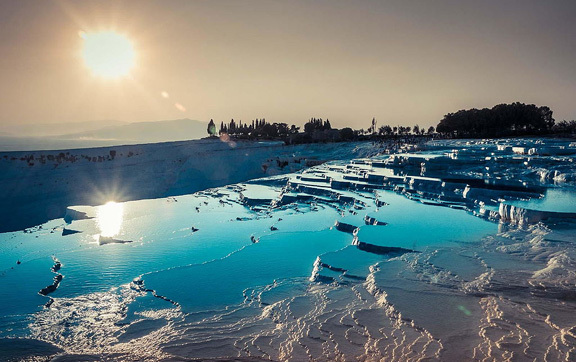 A magical, spectacular natural site, unique in the world, Pamukkale is a fairyland of dazzling white castles. Thermal spring waters laden with calcareous salts running off the plateau’s edge have created this fantastic formation of stalactites, cataracts, and basins. The hot springs have been used since Roman times for their therapeutic powers. Both the thermal centre with its motels and thermal pools, as well as the ruins of the ancient city of Hierapolis, are situated on the plateau. Travel by private jet to legendary destinations at every corner of the globe, with Four Seasons as your guide. Located in Istanbul’s most vibrant neighborhood, the St. Regis combines unsurpassed luxury with timeless elegance. Argos in Cappadocia came from the restoration of a dwelling dating back thousands of years and offers a unique lodging experience.